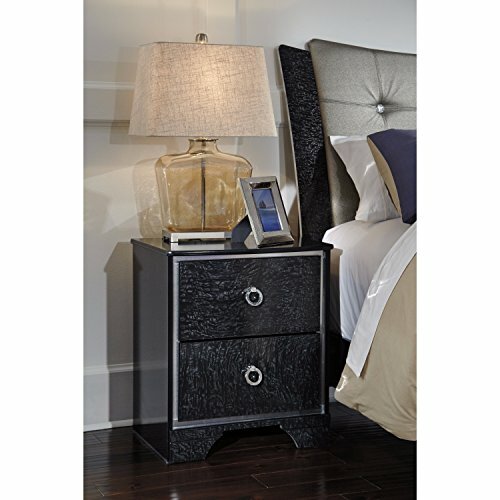 The epitome of fashion-forward design, Amrothi nightstand is befitting of a master boudoir. You'll be hard-pressed to choose your favorite dazzling detail. Is it the fabulous faux crystal accents or the pearlized finish Or maybe it's the built-in USB ports that make charging electronics more convenient than ever. No matter what you love best, Amrothi has styleand functiongalore.